The hilarious, five-time Tony-nominated musical smash hit, SISTER ACT, will be coming to Singapore for the first time, straight from the US! 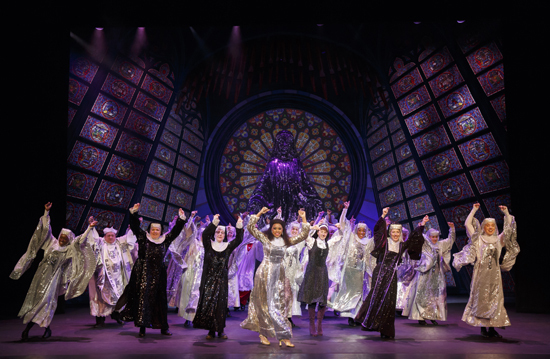 Described “In a word, DIVINE!” by the Associated Press, SISTER ACT opens at the MasterCard Theatres, Marina Bay Sands on 9 May 2017 for a limited engagement! Tickets are now on sale. Fans of the movie will find the musical as hilarious and if you have not watched it before, SISTER ACT tells the story of a wannabe disco diva Deloris Van Cartier whose life takes a surprising turn when she witnesses a murder, and is put into protective custody in the one place the police are sure she won’t be found - a convent! Disguised as a nun, she finds herself at odds with both the rigid lifestyle and an uptight Mother Superior. Using her fabulous disco vibe and killer voice to inspire the choir, Deloris breathes new life into the church, but in doing so, blows her cover. Soon it’s nun-on-the-run time but Deloris helps her fellow sisters find their voices as she unexpectedly rediscovers her own. 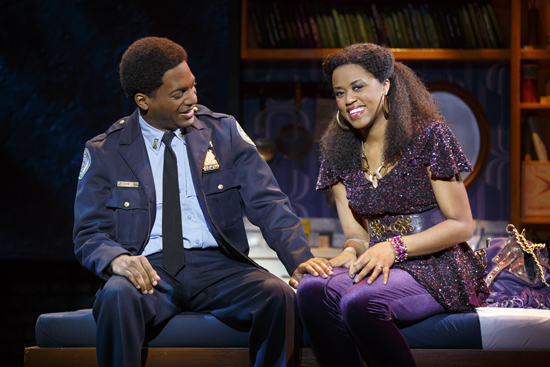 A sparkling tribute to the universal power of friendship, SISTER ACT is reason to rejoice! Based on the mega-hit film from the 1990s, SISTER ACT features original music by 8-time Oscar® winner ALAN MENKEN (Beauty and the Beast, The Little Mermaid, Little Shop of Horrors), with a vast inspiration of musical styles from Motown, soul and funk to great big disco anthems and Barry White inspired musical comedy. The Original Production is produced by Whoopi Goldberg and Stage Entertainment. This production is produced by BEG and TROIKA Entertainment. 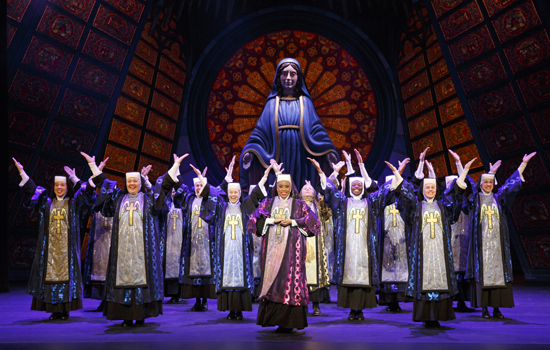 SISTER ACT received five 2011 Tony® Award nominations including BEST MUSICAL, BEST ORIGINAL SCORE (Alan Menken (music)/Glenn Slater (lyrics), and BEST BOOK OF A MUSICAL (Cheri & Bill Steinkellner and Douglas Carter Beane). 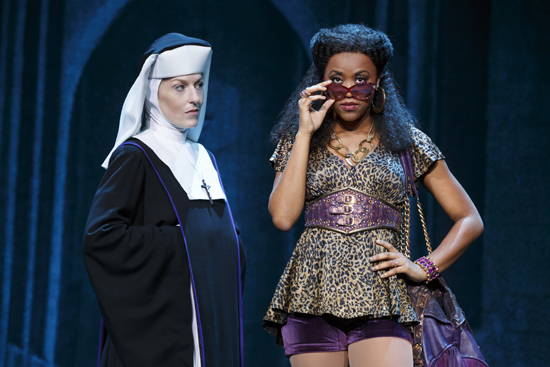 “To hear people laugh and cheer the way they do at SISTER ACT—a show people think they know but are pleasantly surprised to discover is not what they are expecting—is a magical experience for a producer. Happily, audiences across the country are able to get in on the fun as Deloris and her fabulous sisters spread the love nationwide.” --- Producer of the Original production - Whoopi Goldberg, who also played the lead role of Deloris in the 1992 Hollywood blockbuster and sequel. SISTER ACT features lyrics by Tony and Academy Award-nominee Glenn Slater (The Little Mermaid), and a book by multi-Emmy Award winners Cheri and Bill Steinkellner (“Cheers”) with additional book material by Tony and Olivier Award nominee Douglas Carter Beane (Xanadu, The Little Dog Laughed). Directed on Broadway by four-time Tony Award winner Jerry Zaks (Guys and Dolls, A Funny Thing…Forum, Smokey Joe’s Café), the production features choreography by Tony and Olivier Award nominee Anthony Van Laast (Mamma Mia, Bombay Dreams) and is based on the Touchstone Pictures motion picture Sister Act written by Joseph Howard.